CLAMP was responsible for the character design concept for this anime adaptation. Kabukibu! will premiere on April 6 on TBS. The official website of the Kabukibu! 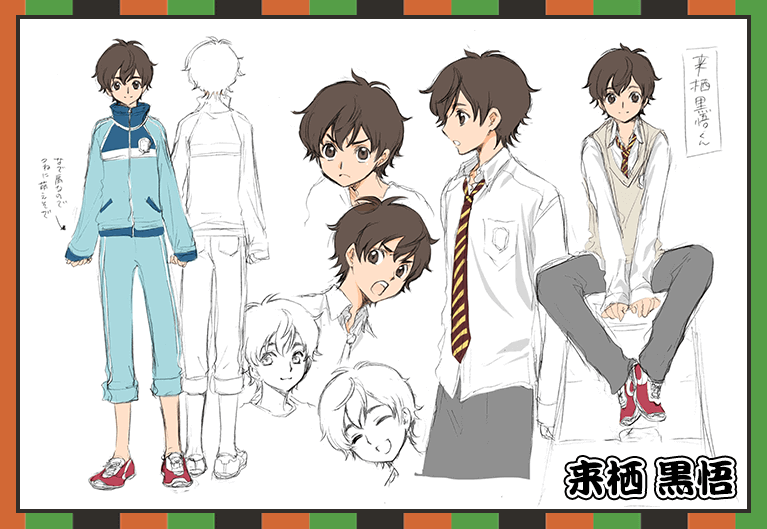 TV Anime updated to reveal the original character design concepts made by CLAMP. You can check them in this gallery. Make sure to do check it, because they are great! Kabukibu! TV Anime will premiere on April 6 on TBS. 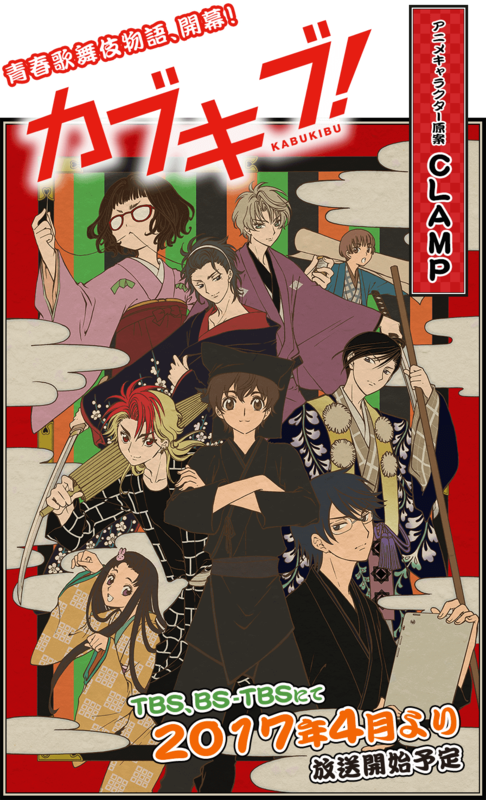 CLAMP will be in charge of the character design concept for the TV Anime adaptation of Yuuri Eda’s light novel series Kabukibu! The series is published by Kadokawa and the 5th volume will be released on November 25. The TV Anime series will be animated by Studio Deen and is scheduled to start broadcast on TBS in April 2017. A clean, text-less version of the key visual by CLAMP can be seen here. Source: CLAMP-NET.COM, Kabukibu! TBS Official Website, Comic Natalie. It looks so nice! I hope the anime will follow the color scheme of that promotional image — althought that looks more manga-ish than anime. Looking forward to new CLAMP art for this!